it’s gone now. we were advised in advance that multiply as a social network will be closing so i already made a backup of all my files on it. but i still visited it once in a while just to look at my page and reminisce at the old photos and blogs on multiply even if it were already stored on my HDD. but then, this happened today. then i felt that pain in the middle of my gut. maybe a little to the right and in between my blood vessels near the kidney and liver. but i felt something. i just felt really sad. it’s gone. and it’s for real, this time. it’s really REALLY gone now. 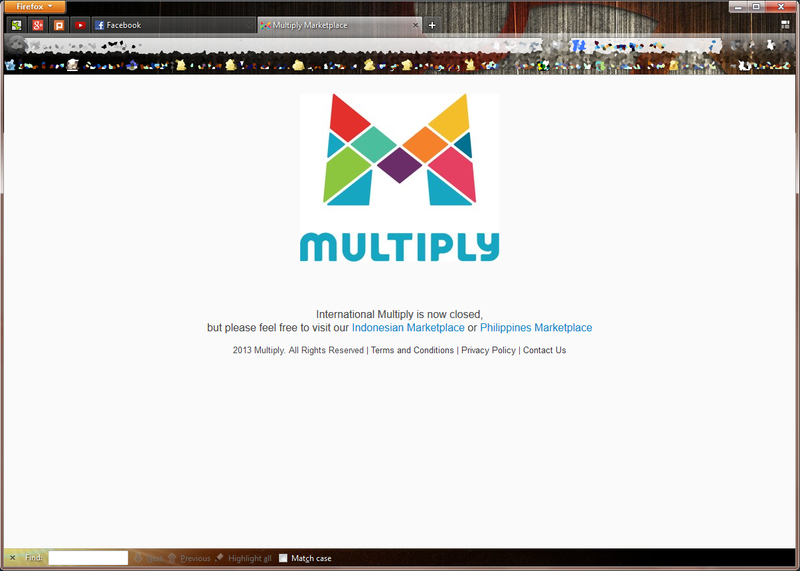 so, a moment of silence, please, is all i ask for my old multiply page. even just 10 secs of your time that you’ll never have back again just to remember my page and perhaps yours as well.